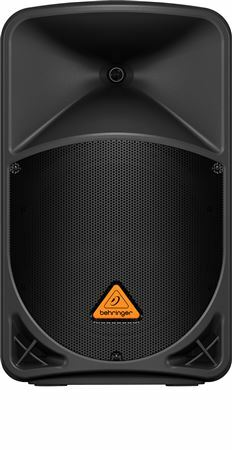 An ultra-compact and lightweight system, the Behringer Eurolive B112MP3 Powered PA Speaker delivers excellent sound even at extreme sound pressure levels. 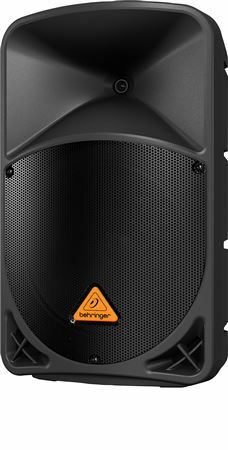 The Behringer Eurolive B112MP3 Powered PA Speaker is an ultra-compact and lightweight system delivering excellent sound even at extreme sound pressure levels. 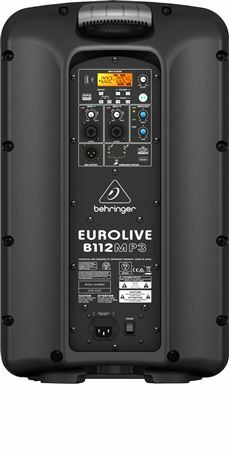 The B112MP3 features MP3 player, wireless option and integrated mixer offering more dynamic and versatility. Two self-contained PA solutions merge state-of-the-art, Class-D power amp technology, built-in wireless microphone capability and exceptional portability for enormous power and incredible sonic performance. 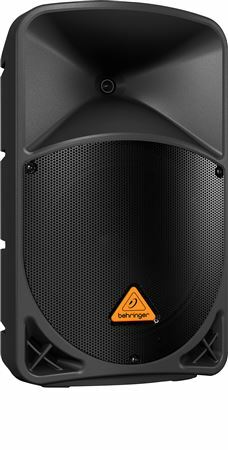 The Behringer Eurolive B112MP3 high-power 2-way PA sound reinforcement speaker system is perfect for live and playback applications. Yes. It is made very well and controls are easily understood on panel. Great sound in a small and lightweight speaker. Also, have been able to turn this up pretty far without distortion or feedback for my vocals. Very easy to use and understand. Haven't tried the MP3 yet because I run directly through my mixer that is patched in for tracks. I would say the tone is very good aside from the bass not being to heavy but that would mainly be due to the woofer size. You want more, maybe go with the 15". I was very skeptical having just sold a very high end PA system. I wanted to start with one of these and when I first tried it with just my vocals, wasn't too impressed. Then I patched in to my mixer with some effects as well as some tracks and pushed this thing up, it held well and sounded very full! I am convinced and will soon get another to match. It's not as powerful as the high end 12" brand I once owned, volume has to be turned up more on this to achieve max. sound, but for the price, it competes very well!! I have owned a few Behringers and they hold up well and also seem to strive to make their product even better. This one is a keeper!! I love these speakers. I have 2 of them. I do vocals in a band and for a while it was always a problem being heard over the drums, especially. I bought one speaker first and it was great and then just wanted to get another and I can hold my own with the rest of the band. I am heard over the drums, half stacks, and arguing about who in the group threw us out of sync. Just blame the bass player. Great buy! The best features are that these speakers are powerful and loud without a whole PA System with amps and all. Just daisy chain the two together and rock and roll dude! If I could change anything about the speakers is that I would make them come with stands for FREE. AHAHAHA! Super easy to use. No joke, my 3 year lil girl know where the switch is and she will sing away if I haven't put the mics away. So proud of her! Crystal clear sound. I love it. Groovy baby. Pick em up and you can put on an acoustic show or rock out a decent sized venue.